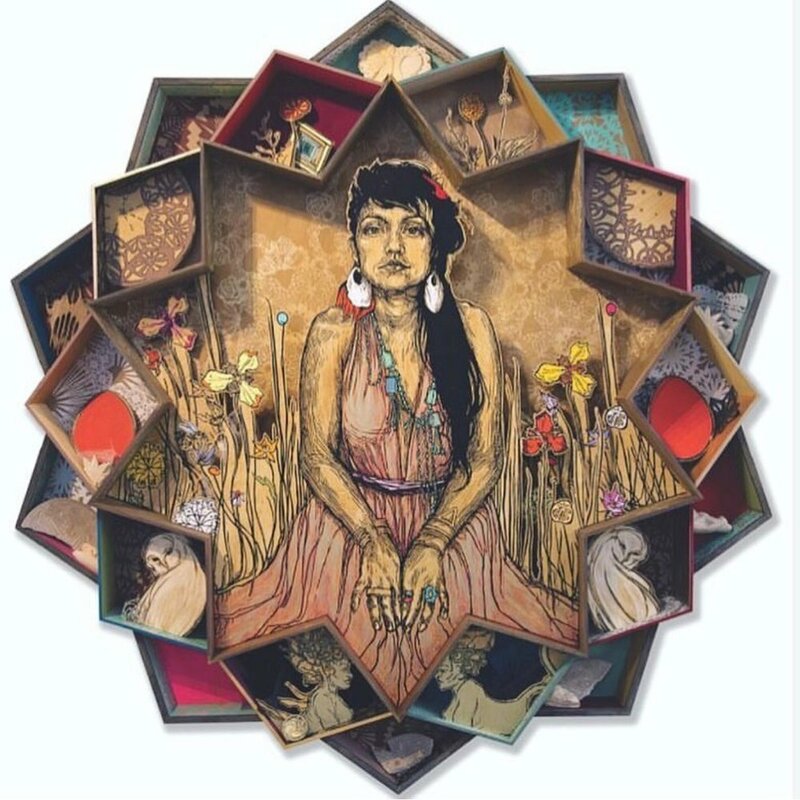 Caledonia Curry, exhibiting under the name SWOON, has spent the last 14 years exploring the relationship between people and their built environments. Early interventions in the urban landscape took the form of wheat-pasting portraits to city walls around the world. 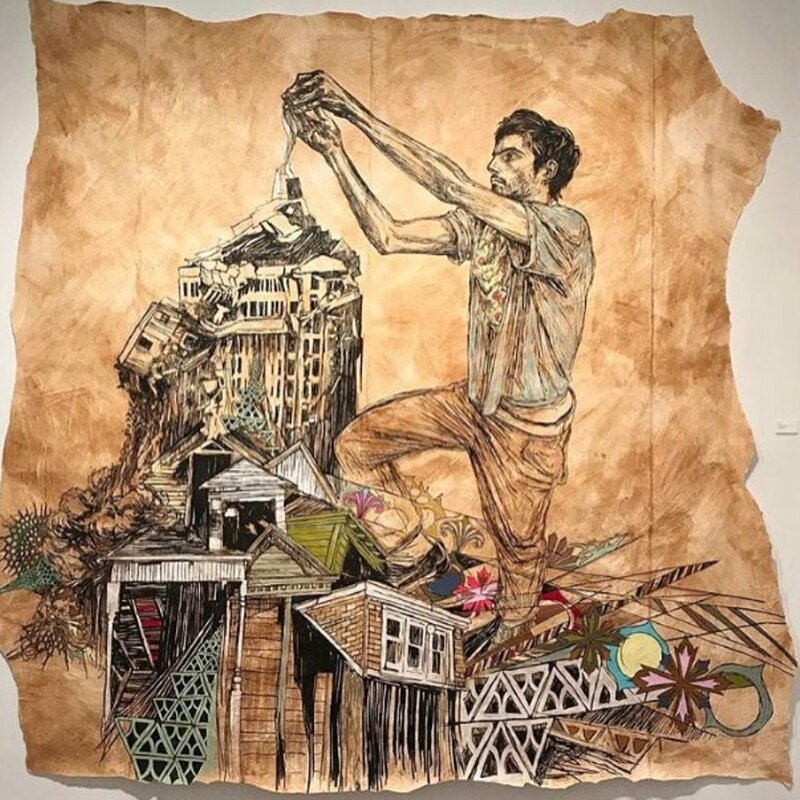 SWOON's practice has expanded to the rebuilding of communities and humanizing today’s most pressing social and environmental issues through art. In 2010 she co-founded Konbit Shelter, a response to the devastating earthquake that struck Haiti that same year. Other community-based endeavors include collaborating on musical architecture in New Orleans and a neighborhood revitalization project in North Braddock, PA. Alongside her place-based work, she has thriving multimedia a studio practice. Curry’s work has been collected and shown internationally and can be seen at the Museum of Modern Art, New York; the Brooklyn Museum; the Tate Modern; the Institute of Contemporary Art, Boston; and the São Paulo Museum of Art.